In learning to sew, I’m practicing my new skill by making gift sets. I know it is almost the post season, but next April might be a someone’s first baseball season. 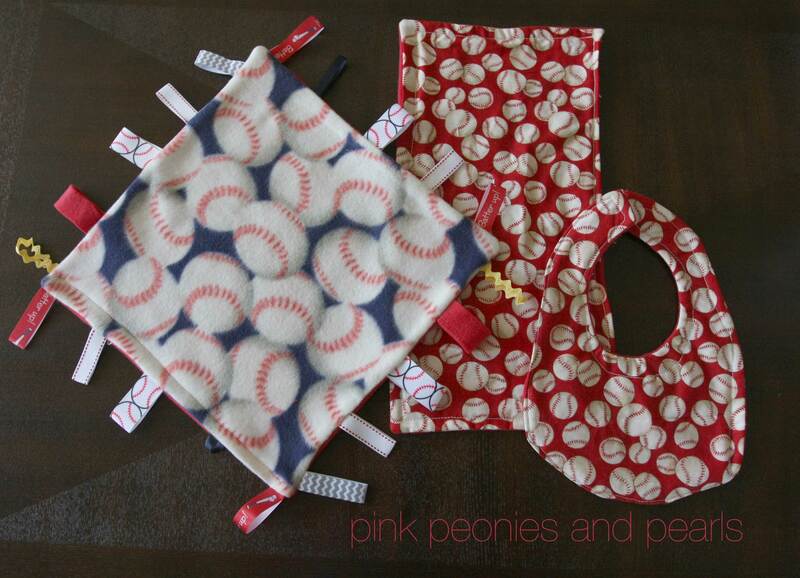 Using ribbons and remnants, I made a bib, burp cloth and baseball sensory taggie. Customize your items with your favorite MLB team fabric or ribbon.